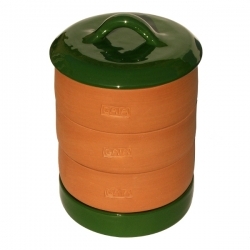 Larger, 17cm diameter GAIA sprouter with glass lid for more demanding sprout growers. 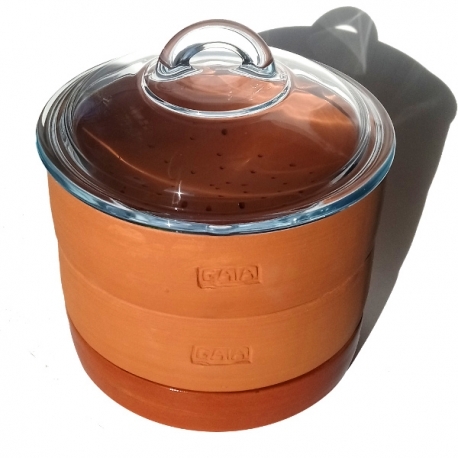 One tray can take about one cup of larger seeds (volume before soaking) like pulses, beans, peas and sunflower. 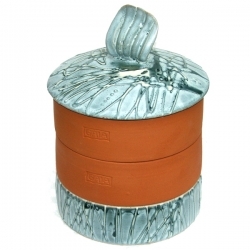 The GAIA Sprouter® consists of 2 growing trays, base and glass lid. 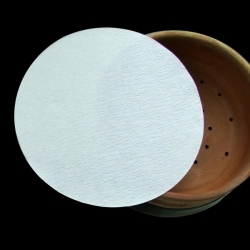 The growing trays are made of unglazed earthenware that is highly porous and thus is able to breathe = absorb and release moisture to maintain a constant level of humidity. 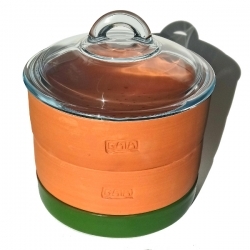 The lid is made of borosilicate glass and base is glazed to make them non-porous and easier to clean. 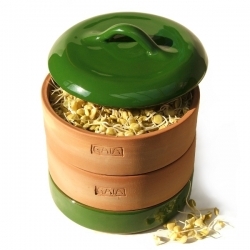 Each sprouter is hand-assembled to the best fit and comes with the INSTRUCTION GUIDE and 6 FILTER PAPER DISCS - lining for the GAIA sprouter when sprouting small seeds. 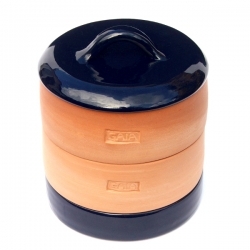 GAIA Sprouters are hand-crafted and have the GAIA brand mark on the side of the sprouting tray. 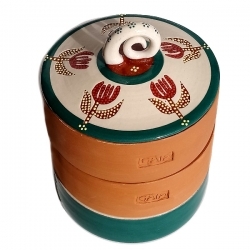 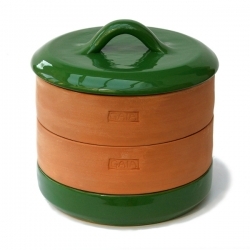 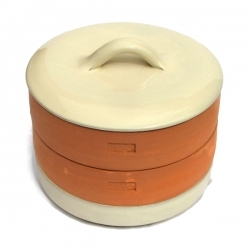 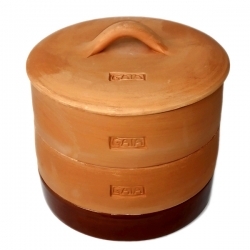 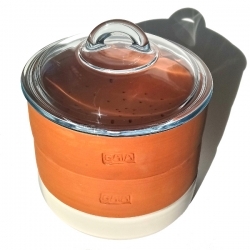 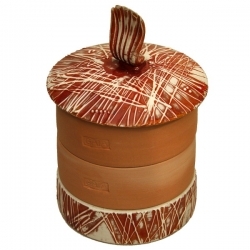 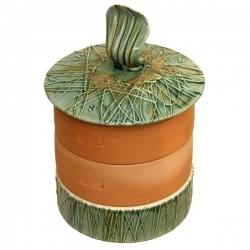 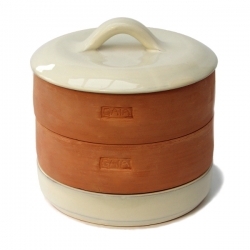 The glazes used for the lid and the base are lead free and certified non-toxic. 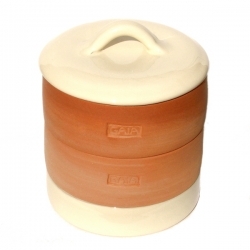 Made in EU and UK.